Each major wine business is rooted in an estate that has been occupied for generations. Until now, though, we have had little idea of the lives and sumptuous lifestyles behind some of the world’s best-known wine labels. These beautiful photographs reveal both grand formality and the distinctive domesticity of the time-honoured estates. Here are all the great domains of France, from the Taittinger champagne cellars housed in 4th-century Roman chalk caves in Reims, to Château de Pennautier, the ‘Versailles of Languedoc’. Florence Brutton's informed texts bring the unique character of each estate to life, explaining the idea of terroir (the conditions that distinguish each area) and the importance of local wine-related customs. She also offers many personal insights and anecdotes from the wine makers themselves. 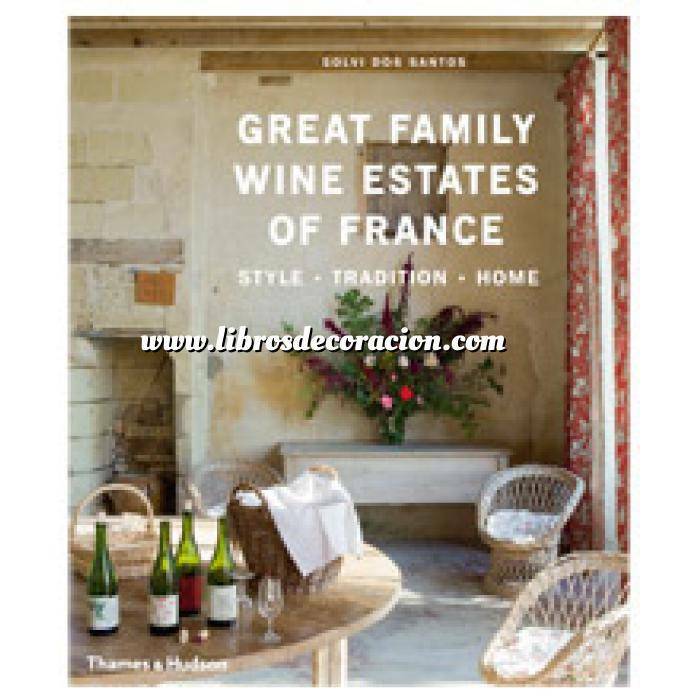 With details on the wines produced by each estate and information for the visitors, this book will appeal to wine lovers, travellers and anyone in search of lovely interiors, sanctified by lifestyles that have passed the test of time. Solvi dos Santos is one of the world’s best-known lifestyle photographers. Her many publications include At Home in Turkey, Simply Contemporary, Contemporary Natural and Baltic Homes, all published by Thames & Hudson. Florence Brutton is intimately connected with French wine through her work for the Comité interprofessionnel du vin de Champagne and The World of Fine Wine Magazine. Among the many wine books she has translated is Bettane and Desseauve’s Guide to the Wines of France.